AnyIndo - There are many methods to root android devices without using a PC by using Framaroot, TowelRoot, Baidu Root, Root KeyMaster and Kingroot. Root Tool named Kingroot is the most popular tool that could open root access on your smartphone. One of the smartphones that can root with kingroot is Oppo Joy 3. In this post I will represent my team to give a tutorial how to root the Oppo Joy 3. Oppo Joy 3 uses a 4.5-inch screen and comes with a quad-core processor with 1.3 GHz MediaTek MT6582 chipset and the capacity of RAM it is 1 GB. The camera on the back side,Oppo Joy 3 is capable of producing images with a resolution of 2,592 x 1,944 pixels and 2 mega pixels front camera. Many users want to maximize the use of android smartphone by doing Rooting, which will open up access to the file system to be modified is either manually or by using an application. With the phone already rooted we can improve the performance of our smartphones such as removing some of the default applications that are less useful so they can save the use of RAM and battery, do the repartition of internally so that more relieved or exchange the placement SD Card into internal storage so that data of the games can be stored in SD Card or we usually call it "External memory". Then open the app Kingroot and click the blue button labeled "Start Root"
Let's see if there is a new application is installed that is KingUser and Purify, if yes, it was a sign Root has been completed and successfully. 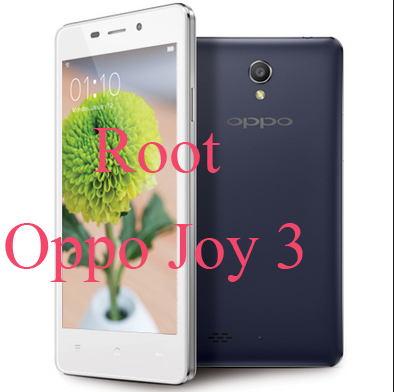 Congratulations !, Your Oppo Joy 3 are already successful rooted. For more convincing check with Root Checker app that you can install through the Google Play Store. Belum ada tanggapan untuk "Root Oppo Joy 3 Without PC Easily"